On the call of Joint Resistance Leadership (JRL), the leaders and activists of the leadership on Friday staged a protest demonstration demanding the release of JKLF chief Muhammad Yasin Malik and revocation of ban on Jama’at-e-Islami Jammu and Kashmir. 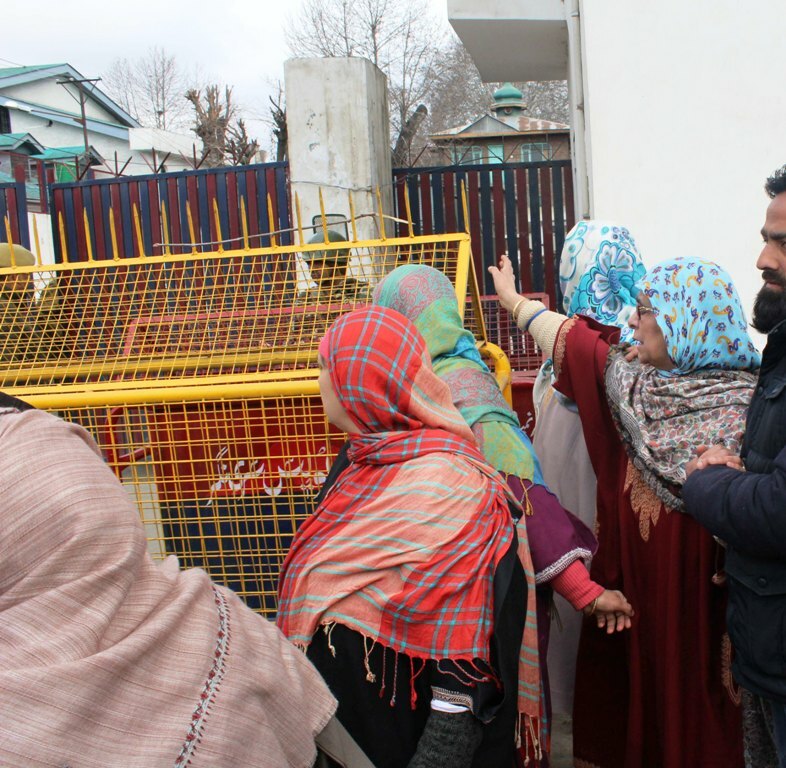 Family members of JKLF Chief Muhammad Yasin Malik outside Kothibagh Police station when was being shifted to Kot Balwal Jail on March 7, 2019, from his Maisuma residence. An eyewitness said that soon after the culmination of Friday prayers scores of the leaders and activists of Hurriyat and Jammu and Kashmir Liberation Front (JKLF) gathered at Maisuma and sought the release of Malik and revocation of ban on Jama’at. On February 22, Malik was arrested and kept under detention at police station Kothibagh Srinagar. Fifteen days after his detention, Malik was booked under PSA and shifted to Kot Balwal jail. Earlier, the central government banned Jama’at-e-Islami Jammu and Kashmir for five years under “anti-terror law” on grounds that it was in “close touch” with militant outfits and was expected to “escalate secessionist movement” in the state.